Just the other day, my mom brought me her cell phone and “Can you fix this?” A daughter’s favorite words, right? But, she is my momma and she did raise me and all that stuff, so… I started looking around to figure out what the problem was. Turns out her phone was so full of photos that it wouldn’t do much of anything else. At all. “What do I do?” she asked. “I don’t want to lose all my photos!” And then I introduced her to the wonderful world of cloud storage. Do you have Amazon Prime? 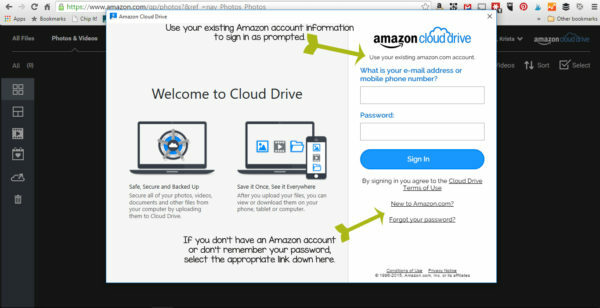 Did you know that if you do, you already have access to Amazon Cloud Drive? You get unlimited photo storage and 5 GB of storage for videos and other files. 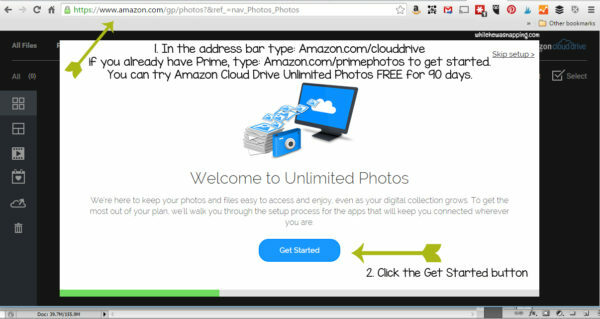 Amazon Cloud Drive lets you securely back up and store existing content collections and automatically upload endless amounts of new content, including photos, videos, movies, music, and files. 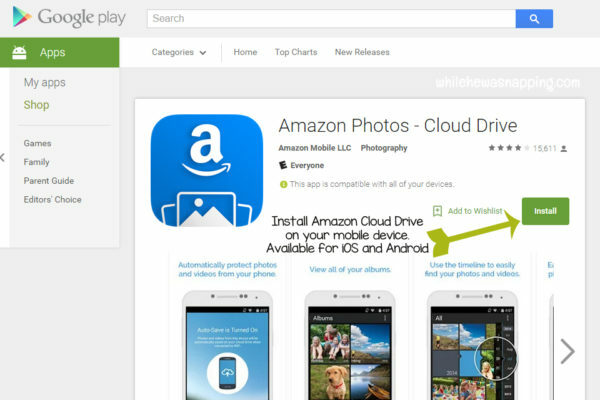 Amazon Cloud Drive can be accessed via the web on Mac, PC, and your mobile device. 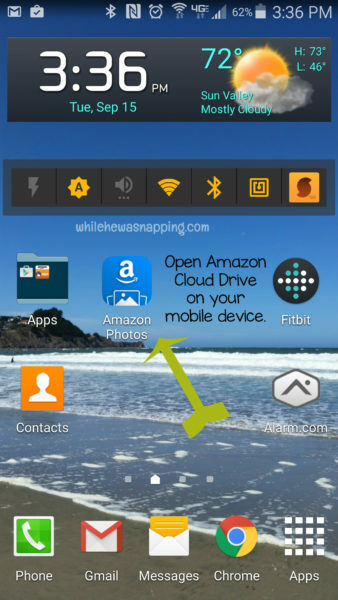 The easiest way to get started is using the Amazon Photo app, available on Android and iOS devices, which automatically backs up your camera roll – freeing up valuable space on your device, so you can take more pictures and videos! Ok, ready? Watch how easy it is to set this up. It does take a little bit of time – maybe 20 minutes – but it’s so worth knowing your photos won’t be lost even if you have some sort of disaster. Now, it’s on your desktop and you can backup your computer. 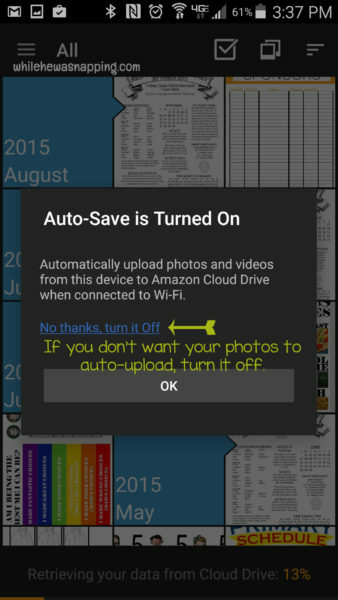 But what about all those photos on your phone?! 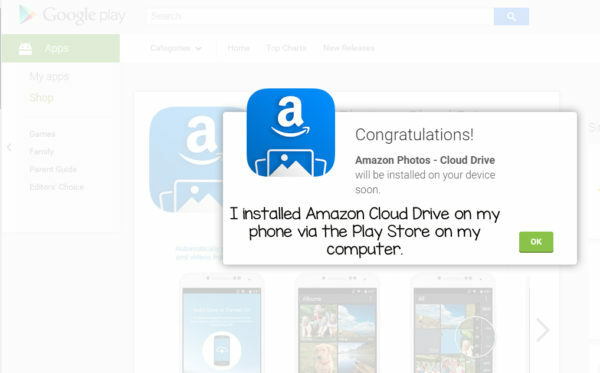 Installing Amazon Cloud Drive on your phone is even easier than on your desktop – and probably what you really want anyway. Save the photos! Here’s what to do to set it up on your mobile device. 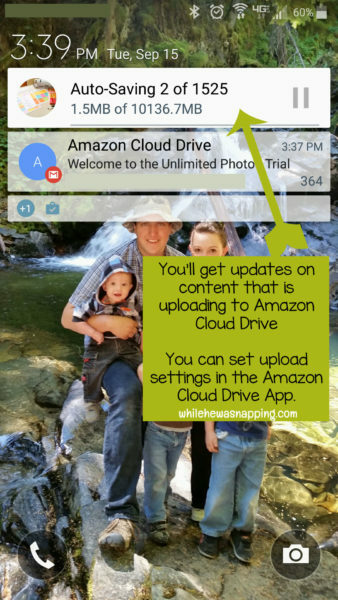 In addition, the Amazon Photo app allows you to access your photos and personal videos across devices (for example family photos you may have uploaded via the web). I set up instant upload to the cloud for the gallery on my mom’s phone. She was able to delete the photos that were taking up 13 GB on her phone. Her phone ran much more smoothly after that. Shocking, I’m sure. But she can now see photos she takes with her phone on her larger tablet screen. And, whenever she takes new photos, they will automatically back up to the cloud. Even if she looses her phone or it breaks or it gets ruined, her photos and files are safe. That is the most important thing to me in cloud storage. Instant upload for my photos and lots of space to store them all. I use my phone not only to capture photos of my kids and our lives, but for my blog as well. I love knowing I won’t lose my photos if something happens to my phone, but it is also incredibly convenient to have my blog photos automatically backed up to the cloud. It cuts out a step in the whole “composing a post” process, because I don’t have to transfer my photos to my computer. Not only that, I don’t have to worry about storing them on my hard drive, taking up valuable hard drive space; and, there’s no threat of my hard drive crashing and loosing all the time I’ve spent on editing those photos. I spend an average of 1-2 hours editing photos for a single post and I love knowing my time spent editing won’t disappear if my computer crashes. Storing to the cloud is just super convenient! 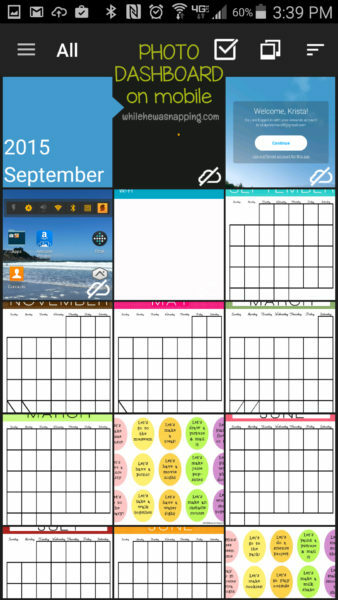 Cloud storing makes sharing photos easy! Photos and files can be shared via private links from within the Amazon Photo app or by selecting a folder or file to be shared using the web interface on your computer. Sharing your photos is fast, easy and secure. As with anything you put online, there is a chance that someone somewhere will try to get their hands on it. Amazon has secure servers to store your photos and files. Your photos are protected within your account.